The 391-acre Bear Fire in the Santa Cruz Mountains is "calming down" and is now 50 percent contained, a Cal Fire division chief said Saturday morning. 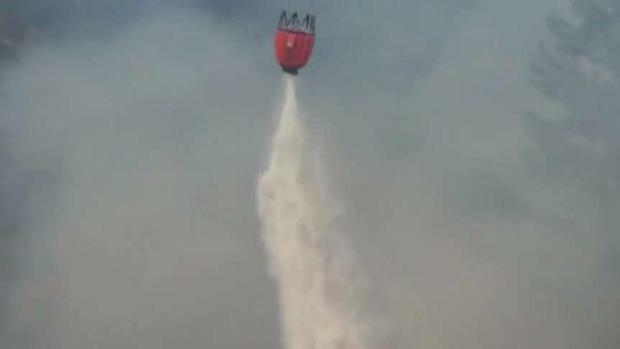 The fire has burned 391 acres, according to Cal Fire. Bernheisel said Santa Ana winds are expected in Southern California, "so we need to be able to put this thing totally to bed so we can be available for the next potential start that might happen." Evacuation orders are still in effect for Bear Creek Canyon Road, Deer Creek Road, Rons Road, Dons Road, and their tributary streets in the fire area. Bear Creek Road between Hawk Ridge Road and Highway 35 is open to residents only, Cal Fire said. Evacuation orders for the Las Cumbres community, Skyline Boulevard community and areas south of Bear Creek Road were lifted Thursday morning, according to officials. 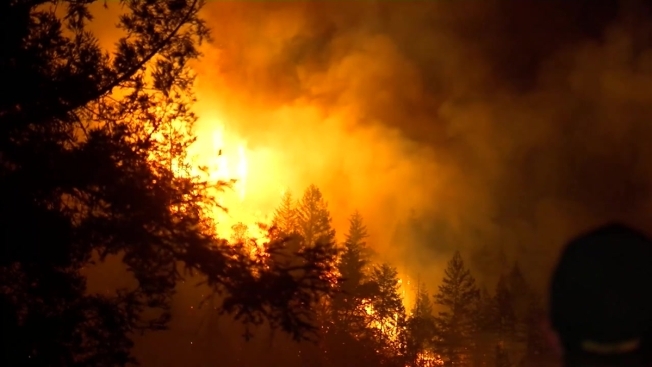 Overnight rain and cool weather helped firefighters battling the 320-acre Bear Fire in the Santa Cruz Mountains. Bob Redell reports. Though fire officials were generally upbeat about their progress in containing the blaze, there were some setbacks Wednesday. A drone grounded the much-needed air attack for about an hour. One of those hurt was Andy Goodson from the Santa Clara unit. He fell 50 feet while on the front lines of the fire. As of Friday, he is hospitalized but expected to be OK, according to Cal Fire. Some evacuation orders were lifted Thursday as fire crews steadily gained control of a 320-acre blaze burning in the Santa Cruz Mountains. Damian Trujillo reports.